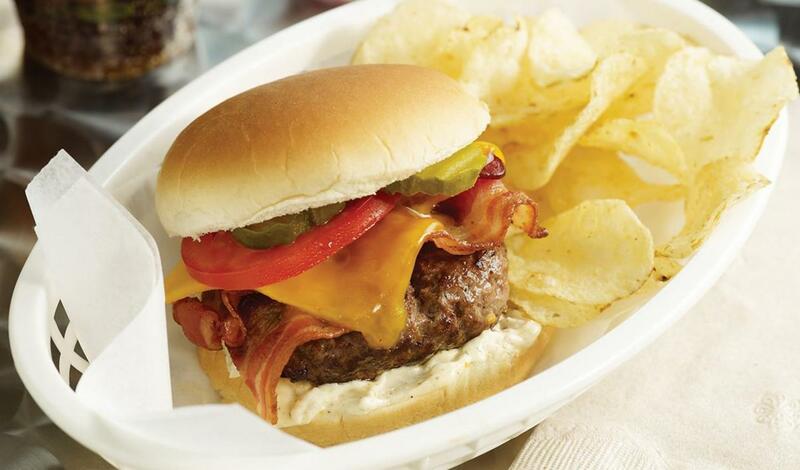 Bacon, Cheddar and spicy mayo make this burger a masterpiece. Seasoning Mix, prepared 1 T.
Pickle, dill chips 5 lbs. Seasoning Mix, prepared 3 T.
Combine ground beef, seasoning mix (sub recipe below), and worcestershire sauce. Form into 10 patties. Spread bun evenly with Spicy Mayonnaise (sub recipe below) and build burger.